When planning your natural home, the roof becomes a very important part of your design. From looking good to insulating, to adding extra space, to protecting your walls, a good roof design is an essential part of every home. 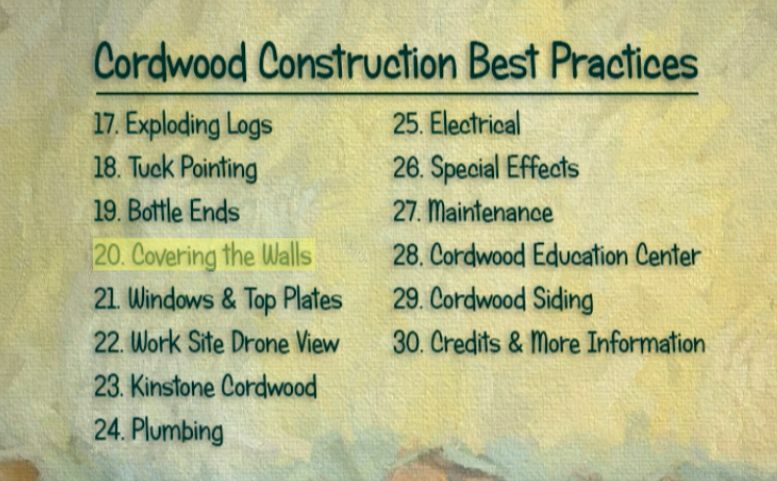 Here are a few ideas “topping off ideas” to consider for your cordwood construction dream home design. A roundwood, log cabin style roof for the second floor. 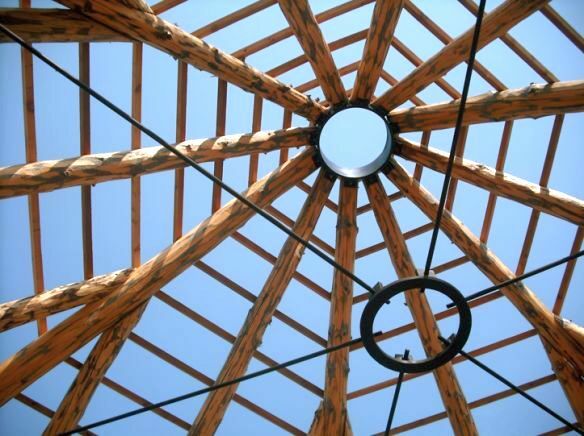 A simple “king post truss” can be handmade and spans a maximum of 16 feet. A living roof needs a sturdy framework, proper waterproofing protection and good drainage. 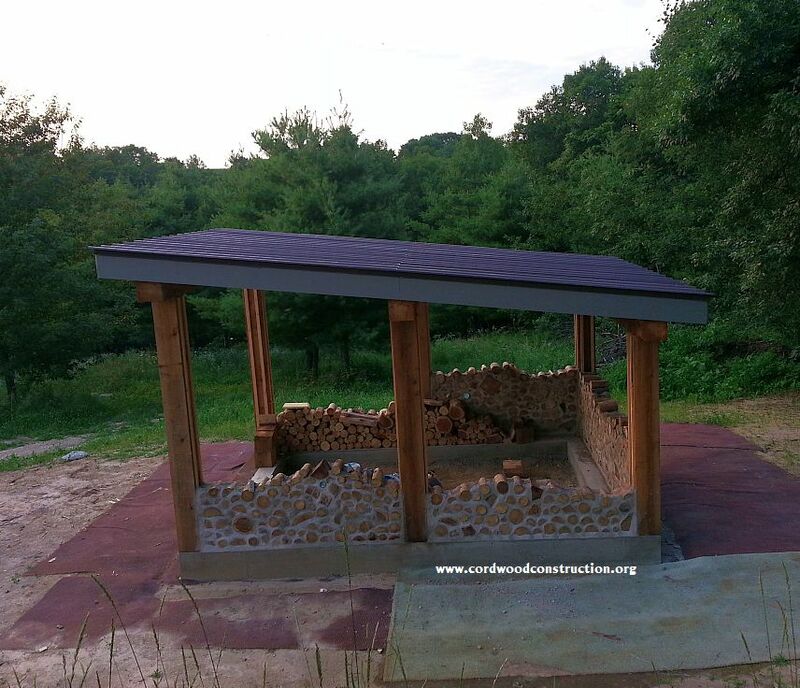 The rule of thumb with living roofs is to build them like a fine cabinet maker. 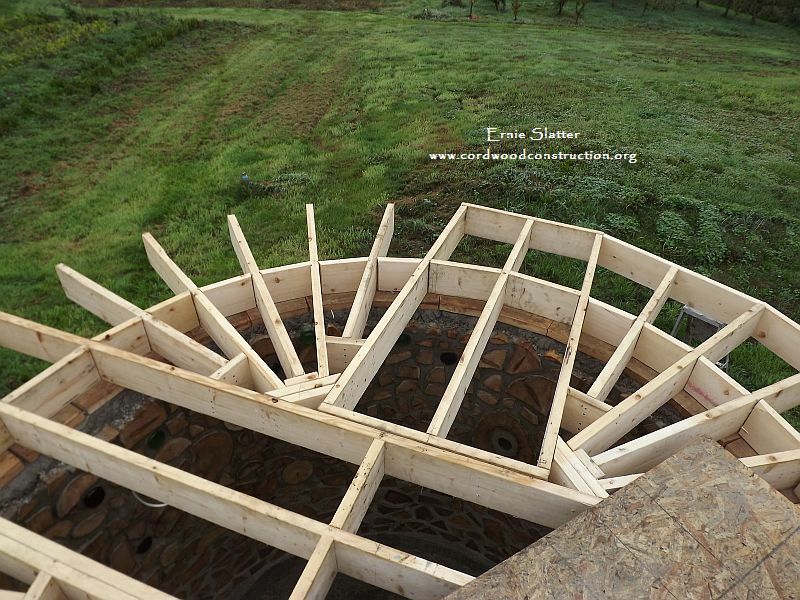 The angle cuts for a round living roof can be complicated for a beginner. 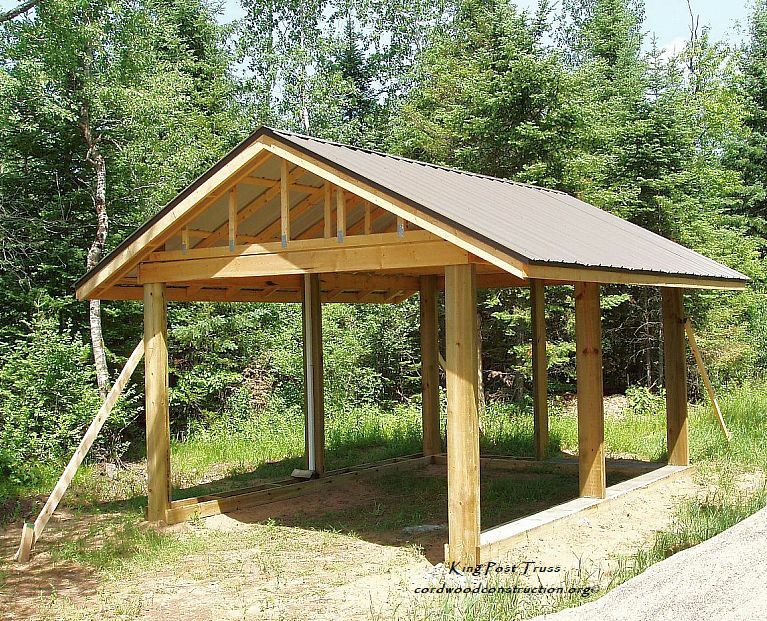 A simple shed roof is very easy to build. Issac built his own trusses and then cut his own dragon skin shakes by hand. This roof (above) is separate from the building structure. A ring collar and tensioner help to keep the poles in good alignment. 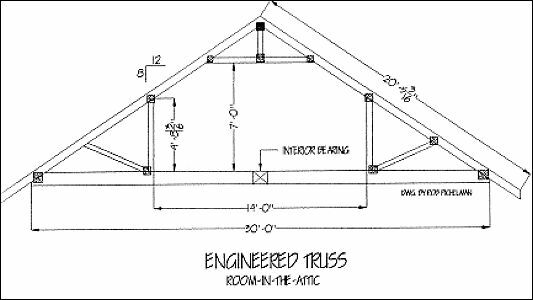 This truss room in the attic adds an extra 560 sq. 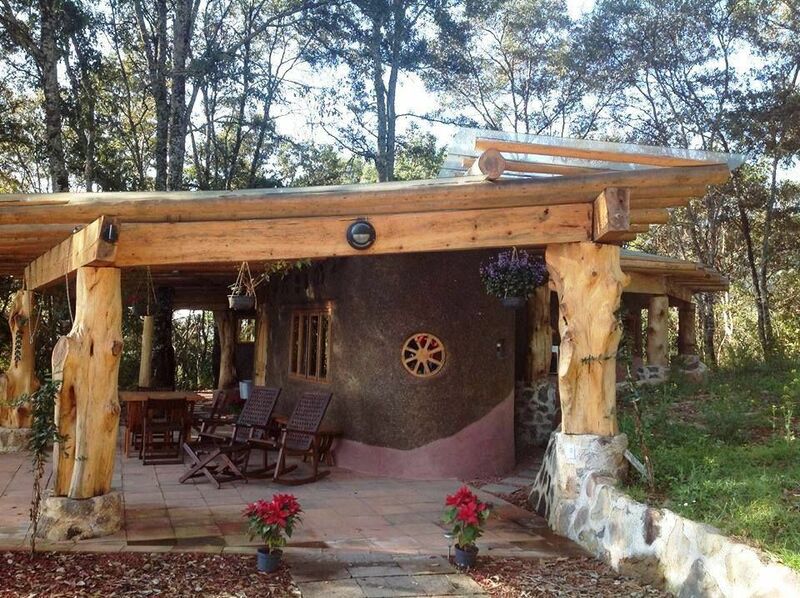 ft. of living space on top of our cordwood home. This is how it looks from the outside, somewhat of a Swiss Chalet style. The pitch is 8/12. 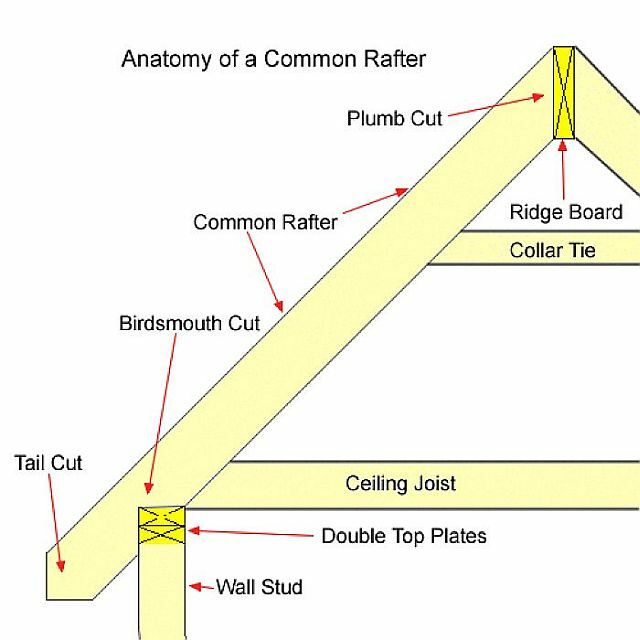 A common rafter takes longer to install than a truss roof. These photos are meant to stimulate your planning juices. 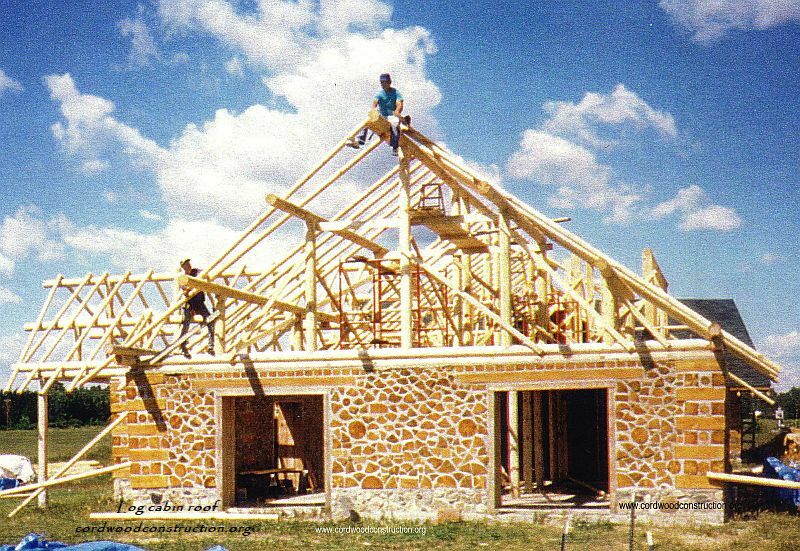 This is certainly not a comprehensive treatise on how to build a roof, but rather a starting point from which to begin. You will need to research the cost, buildability and “look” of the roof you choose for your dwelling. Good fortune! 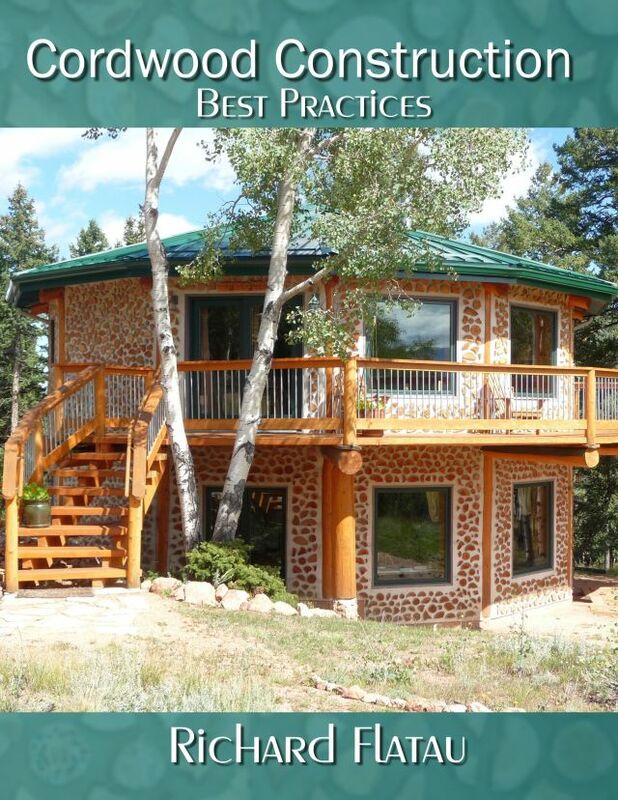 Should you wish to learn how to build a cordwood cottage, cabin or home, please visit www.cordwoodconstruction.org While you are there, click on the pictures, read the brief articles, check out the latest workshops and newsletter and if you are interested click on the Online Cordwood Bookstore to see all the cordwood literature available in print and ebook format. 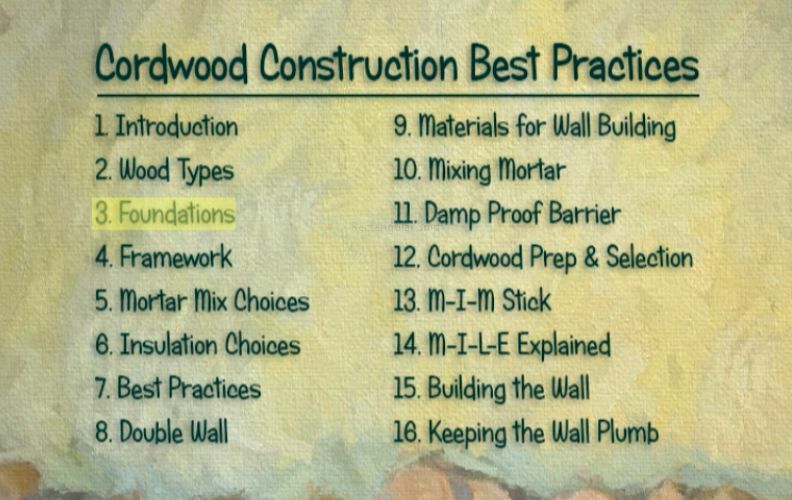 This is the Cordwood Workshop Video label. 30 menu items from the Video.